With Readly you can read The Complete Instagram Manual Readly Exclusive and thousands of other magazines on your tablet and smartphone. Get access to all with just one subscription. New releases and back issues – all included. Are you one of the 800 million active users, posting in excess of 95 million photos per day to Instagram? It’s one of the most used social media services in the world. Are you really getting everything from your favourite app? Instagram offers more than simply somewhere to dump your occasional photos. You can do amazing things with this app to promote work, ethics, politics and much more. You can share a video of your personal best bench press or your child’s first steps. With so much content, there’s always something for someone within this rather wonderful app. 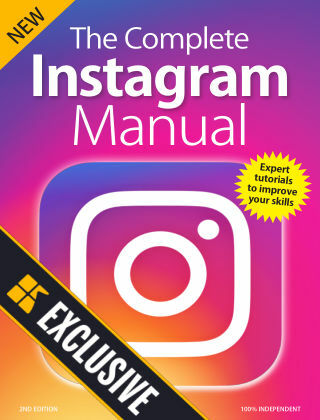 Join us then, as we take a look at how Instagram works, what you can do with it and how you can push it to the limits with new and hidden features. 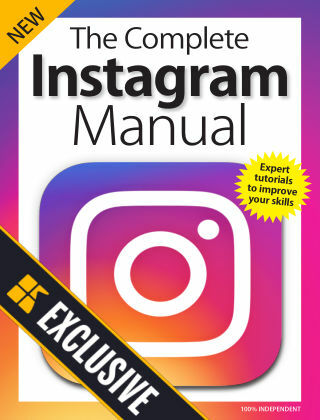 This complete manual will help you get started and put you on the path to ultimate Instagram mastery. 100% Independent.